You may see them infrequently. You may wonder at their skill or endurance. If you’re the average AT thru-hiker—young and male—you may worry about their safety and health. Women 50 and over have as much strength and determination as any long-distance hiker. Most of them have faced one of the greatest challenges of a woman’s life: menopause. They may have special needs and concerns, some of which are clinical (potential bone loss) and some of which are a tad icky (urinary leakage). Let’s explore the experience of menopause and what a menopausal hiker can do to avoid or lessen symptoms. Please note that my focus here is on menopause that occurs naturally. Women who enter menopause for reasons such as surgery or illness may have issues that go beyond the scope of this article. A woman is considered to be in menopause when she has gone 12 consecutive months without a period. Although menopause is commonly used to identify the phase during which a woman’s periods become less frequent (as in “going through menopause”), that phase, which may last for several years, is correctly referred to as “perimenopause.” A menopausal woman is one whose periods have stopped permanently. Menopause occurs, on average, at age 51, and occurs most often between 45 and 55. Once menopause occurs, a woman is no longer fertile. With the cessation of periods comes a drop in estrogen hormones, which among other roles regulate a woman’s reproductive cycle. The low level of estrogen may lead to symptoms that include hot flashes, night sweats, palpitations, headaches, insomnia, fatigue, bone loss, or vaginal dryness. Fortunately, not all women experience these. Supplemental hormone therapy may help reduce these symptoms. Ask your doctor about the possibility of hormone therapy, especially if you are setting out for a lengthy hike, such as a thru-hike or long section. Hot Flashes: Tortured or Toasty? A hot flash is a sudden feeling of heat accompanied by sweating. Hot flashes commonly accompany menopause. Menopausal hikers endure them in different ways. “Buzzcut” wrote on The Trek in June 2017 that night sweats – hot flashes that occur during the night – caused particular challenges for her during her AT thru-hike attempt. Her daytime clothes were soaked from rain, and because of her night sweats her sleep clothes also got drenched. She wrote: So now, through the night I went from being cold to wet and cold alternating several times a night = piss-poor sleep. On the other hand, Jane Ferrall, a 60-year-old hiker from Connecticut, found a way to embrace her hot flashes, especially the nighttime occurrences. What do experts advise if you’re tormented by these sudden surges of heat? The Mayo Clinic offers suggestions such as avoiding hot and spicy foods, caffeine, and alcohol. They note that there are medical remedies for hot flashes, including estrogen supplements or low doses of certain antidepressants. Acupuncture may also help. Meditation may help you get through the hot flashes when they happen. 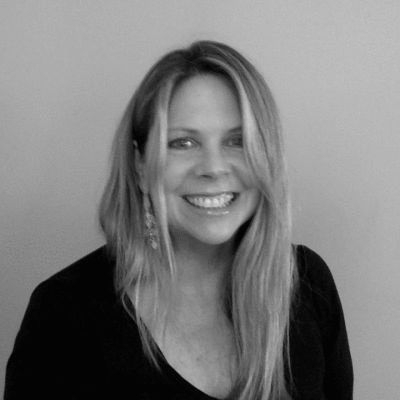 Diane Spicer, who runs the Hiking for Her website, recommends this technique. Her hot flash mantra: Heating up. Let it go. Boiling over. Let it flow. Try her mantra, or develop one of your own. Mind over hormones! Will Sticks and Stones Break Your Bones? According to Dr. JoAnn Pinkerton, executive director of the North American Menopause Society, women can lose up to 20 percent of their bone density in the first five years of menopause. 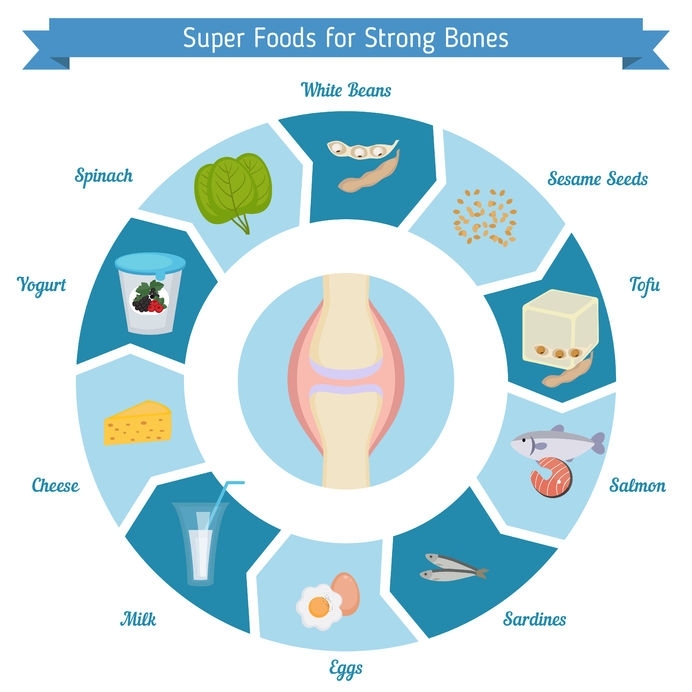 Calcium supplementation is important to maintaining bone health. Nutrition expert Dr. Brenda Braaten emphasizes the importance of calcium supplements – not just with menopause, but before, and not just on trail. In addition to supplements, certain foods are good sources of calcium, but not necessarily the traditional staples of a thru-hiker diet. Some calcium-rich foods that are generally accessible on trail include milk (powdered or liquid), nuts, hard cheese, and dried salmon. The decrease in estrogen that occurs in menopause weakens the tissues of the genitourinary system, which can cause bladder issues, including a higher risk of urinary tract infections, frequent urination, and bladder leakage. Lower estrogen levels can also lead to vaginal discomfort. Talk to your doctor about treatment for these symptoms, such as topical estrogen. Menopausal women need to pay careful attention to genitourinary hygiene. 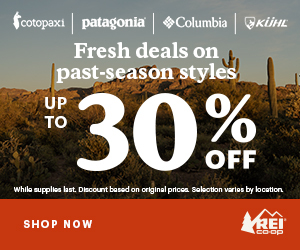 Even if you don’t have the opportunity to shower in the backcountry, make time daily to ensure your vaginal and perineal areas are clean and dry. Use non-allergen soaps and wipes. Be especially meticulous about cleaning after bowel movements; wipe from front to back to avoid transmitting bacteria. You can also help avoid vaginal or urinary tract infections by wearing comfortable underwear with moisture-wicking or antimicrobial fabric and washing your underpants as regularly as possible with a gentle, non-allergen, unscented soap. If you experience bladder leakage or stress incontinence (peeing a little when you laugh or strain), you can wear a light pad. Ask your doctor about other urinary medications, including Uristat pills, which can numb the bladder, or an antibiotic to treat a urinary tract infection. Urinary analgesics are available over the counter as well. Staying hydrated is crucial to preventing urinary tract infections. Menopausal women may become dehydrated quickly if they are experiencing excessive sweating with hot flashes. It’s challenging to pinpoint a specific amount a menopausal hiker should drink, given the variables of temperature, climate, level of strenuousness, and amount of excessive sweating. Use electrolyte supplements to replace what you’ve lost through sweating. Know the symptoms of dehydration and let your body be your guide. You should drink enough water to urinate five to six times a day. If your urine is yellow when you first go in the morning, that’s a sign of good hydration. Michelle Martin dares to dream. …this is our one step to show the world and ourselves that even though we’re over 50, our lives can be filled with new opportunities and grand adventures. Whether we make it one mile, or 1,000, it doesn’t matter, because at least we’re daring to dream. The dare to dream is deeper and more intense for many older women. Hikers just out of college generally do not have the same motivation or perspective as baby boomers who have spent a lifetime making decisions that impact those around them – perhaps people like those post-college hikers – and that have a long-lasting impact on their own lives. They may make choices more thoughtfully. They may party less and spend less in town. 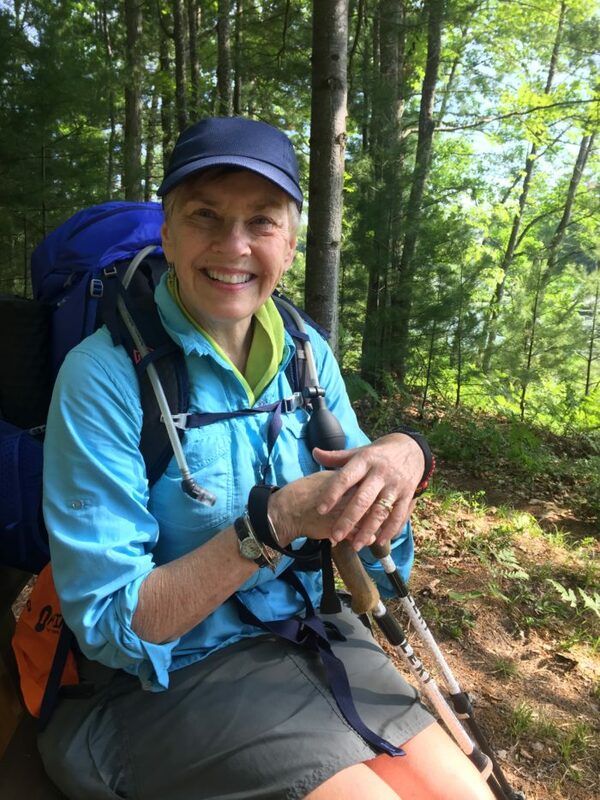 Cheryl McCormick (pictured below) completed her thru-hike of the AT in 2013, at the age of 63. She says she didn’t have any special concerns about menopause-related issues but did appreciate feeling more “stabilized” – she no longer had the emotional highs and lows she had experienced with her periods. She encourages other women in their 60s to do long hikes. 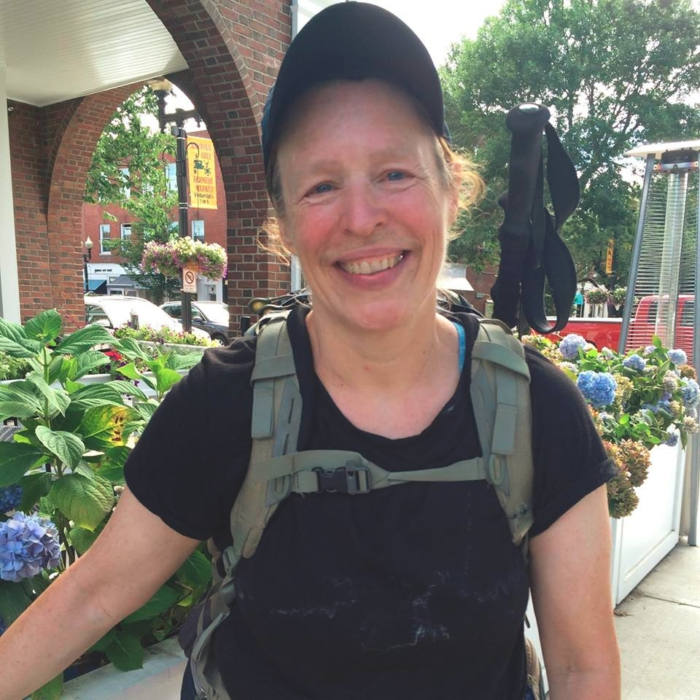 Cheryl McCormick finished her thru-hike at 63. 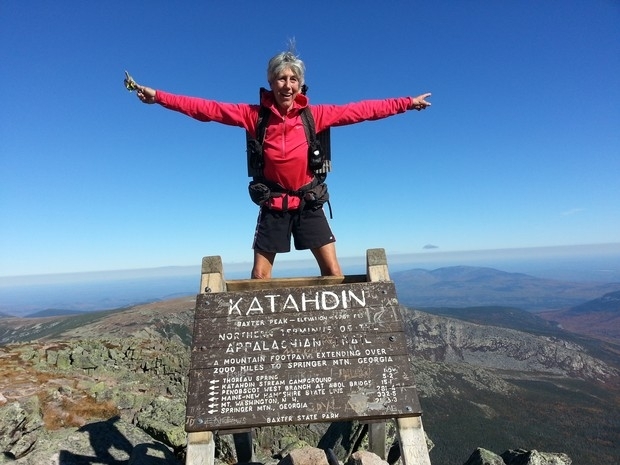 Ellen Cooper (in the header image), a 67-year-old AT section hiker from Maryland, started hiking “long after” she started menopause. She says she has always focused on the benefit of being physically active and not on any limitations menopause might cause. Sue Williams plans to day hike at age 100. Sue Williams, 70, from Michigan (pictured above), runs the fiftysense.net website and has backpacked all over the world, including the AT. She sees only positives to being an older backpacker. “Everyone takes care of me,” she says, remarking that younger people see her as their mom or grandma. Regarding hiking after menopause, she sees only positives: along with not having to deal with her period, hiking regularly has caused her hot flashes to stop and she no longer gets the migraines that were so severe she had to be taken off the trail. She subscribes to the school of thought that older hikers are smarter by virtue of experience, although she also notes that older women can lose their stamina and strength faster if they don’t keep exercising. In my reporting for this article, I never encountered an older woman who did not recommend hiking as a pastime. On the contrary, every woman I spoke with talked about how it has enhanced her life, physically and emotionally.